Pinterest as a platform is growing! Pinterest for business recently announced that 250 million users are using Pinterest each month! In this blog post, I’m sharing why you should be using a Pinterest marketing strategy for your creative small business and what to do if you are a looking for a guide on Pinterest for beginners. In a recent blog post, Pinterest announced there are now 250 Million users on Pinterest each month! That’s an increase in over 50 million people based on their previous reporting. Grow, baby, grow! Why do we love Pinterest so much? Pinterest is about discovery and exploration. Users don’t search for exactly what they want. For e.g., want some new Nike tennis shoes? You don’t go to Pinterest, you head straight to the checkout on Amazon or Zappos. Pinterest is about searching with keywords to explore new ideas and discover fresh content that they love! Pinterest users aren’t concerned with what their peers think about their pinning choices, it’s about doing and searching for what they love and finding actionable content! What types of users are using Pinterest? So, what’s the point of this whole post? The purpose is to show you that Pinterest is growing, by the millions, per year! And as it grows, we get a better understanding on how Pinterest evolves, especially from the female users. 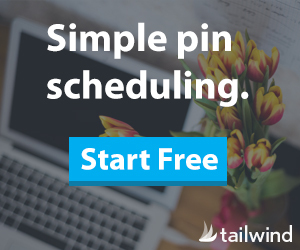 Pinners are looking for new ideas, using keywords and related subjects, pin by pin. How can you get in on some of this marketing mojo? If you are a beginner to Pinterest, visit some of my top posts for getting started. Need a guide to help break it down? Grab my Free Pinterest Start-Up Guide!